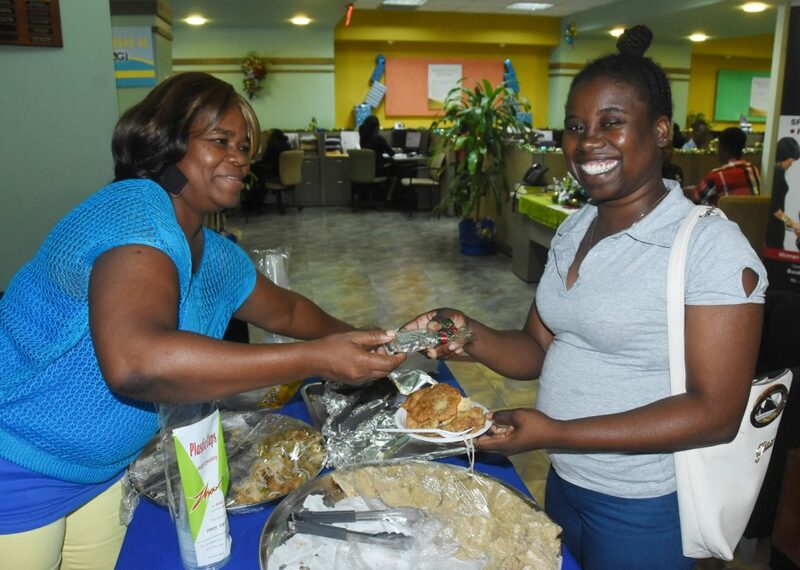 There was the usual finger food, grooming and massages at the JN General Insurance Company (JNGI) Customer Appreciation Day in December; however Denise P. Harris, marketing manager, said they decided to add something extra. The company, which mainly insures automobiles and properties, held its Customer Appreciation Day on December 14. 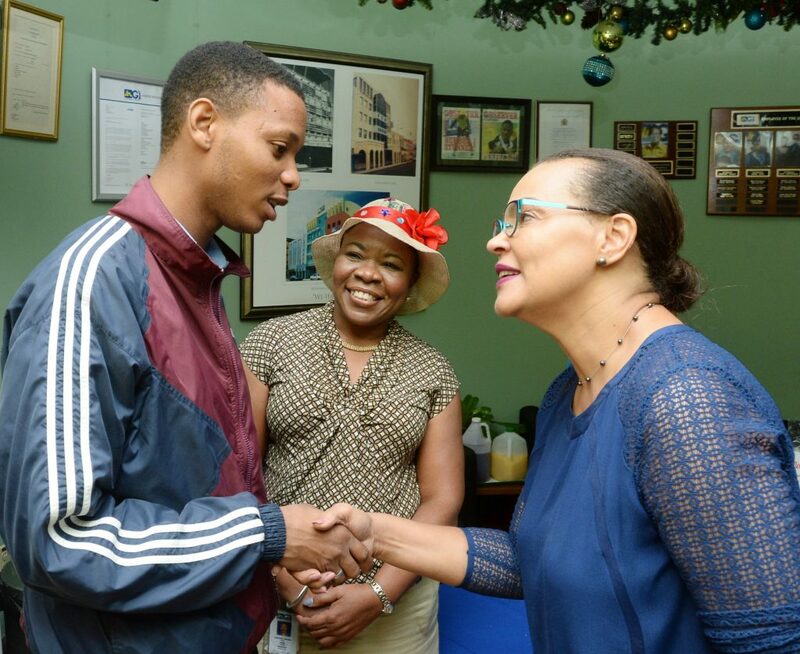 Customers across the country were feted, and a special treat was held at their King Street headquarters in Kingston, where grooming services were provided by their JN Rewards partner, Totally Male Club Spa. Nickesia Thomas (right), customer, gets service satisfaction from Sharon Ellis, JNGI team member. 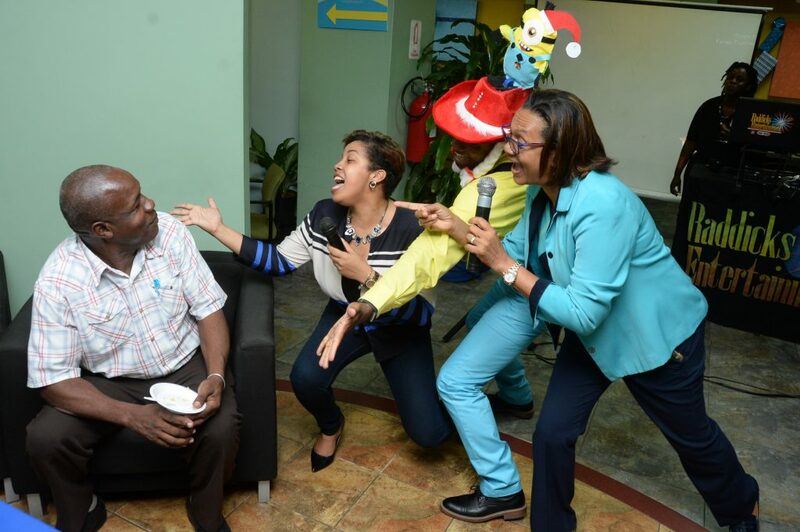 One lucky JNGI customer (left), was serenaded by Denise P. Harris(from second left), marketing manager; Girvan Wright, claims officer and Minion hat wearer; as well as Karlene Leveridge, senior manager, human relations.